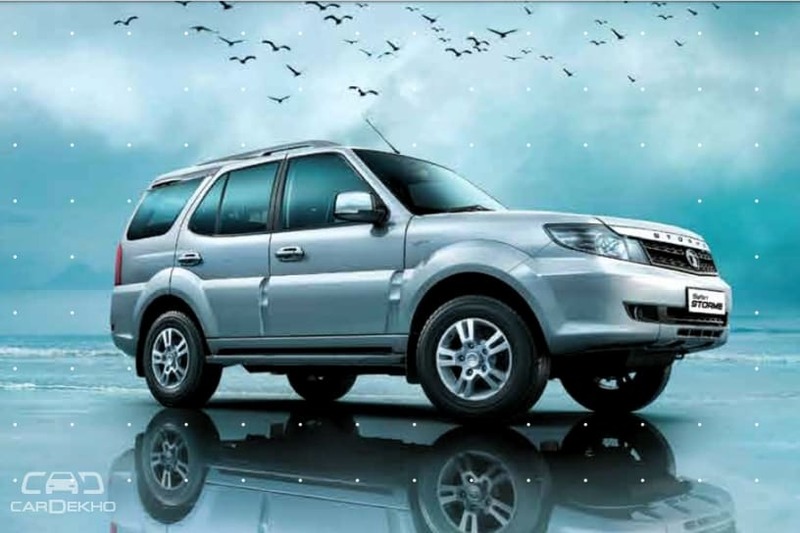 Tata Motors is now offering 17-inch alloy wheels on the Safari Storme. The Storme was earlier available with 16-inch alloy wheels only. The bigger alloy wheels are limited to the top-spec VX variant in both 2WD and 4WD configuration. The lower LX and EX variants continue to be offered with 16-inch steel wheels. The rest of the features on the top-spec variant remain unchanged. It gets dual front airbags, ABS with EBD and rear parking sensors apart from projector headlamps, manual AC with roof mounted vents for rear passengers, height adjustable driver’s seat, electrically adjustable and foldable ORVMs with turn indicators and an integrated CONNECTNEXT music system by Harman with steering mounted controls. The Safari Storme is powered by 2.2-litre diesel engine which is available in two states of tune. In the lower-spec LX and EX variant, the engine produces 150PS/320Nm and comes mated to a 5-speed MT. The VX variant, on the other hand, gets a more powerful tune - 156PS/400Nm - and is equipped with a 6-speed MT. The Safari Storme is priced from Rs 10.89 lakh to Rs 15.97 lakh (ex-showroom Delhi). It competes against the Mahindra Scorpio, which is priced from Rs 9.99 lakh to Rs 16.37 lakh (ex-showroom Delhi).